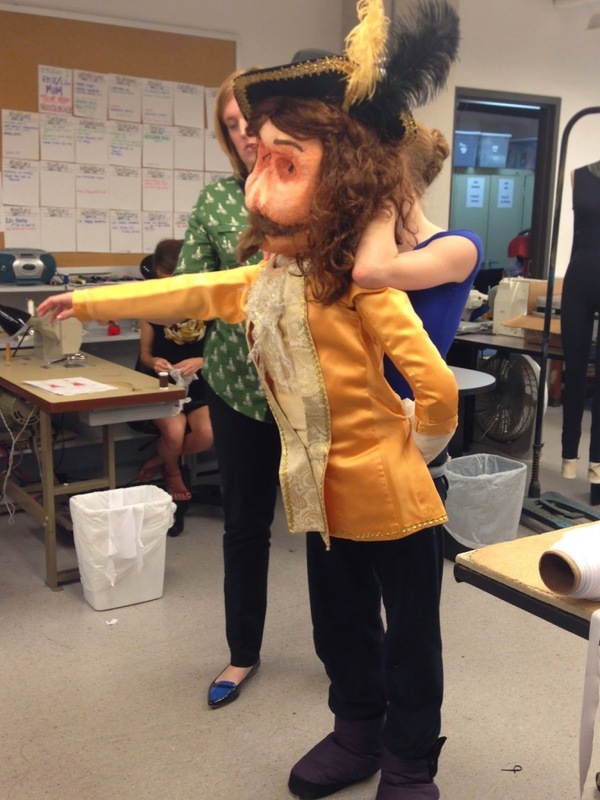 Gamache puppet from Richmond Ballet’s touring production of Don Quixote as part of the Minds in Motion program. 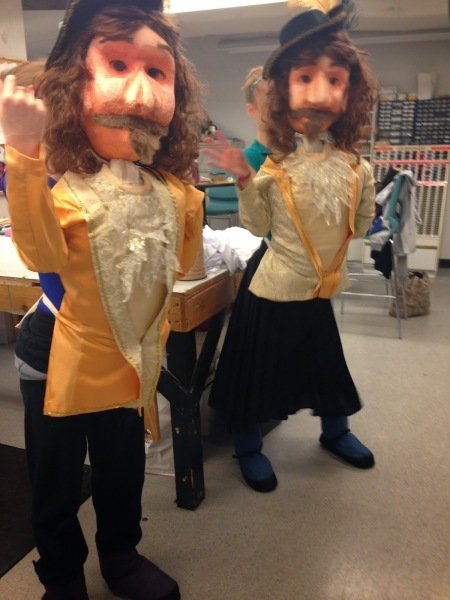 This program tours outside of the Ballet. 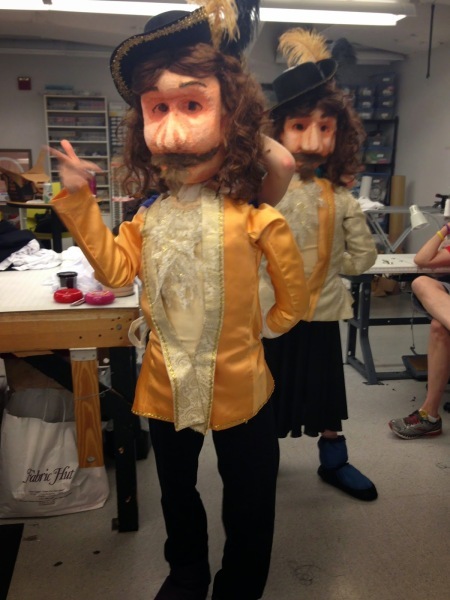 Two puppets were necessary since there were two casts of the show touring separately. 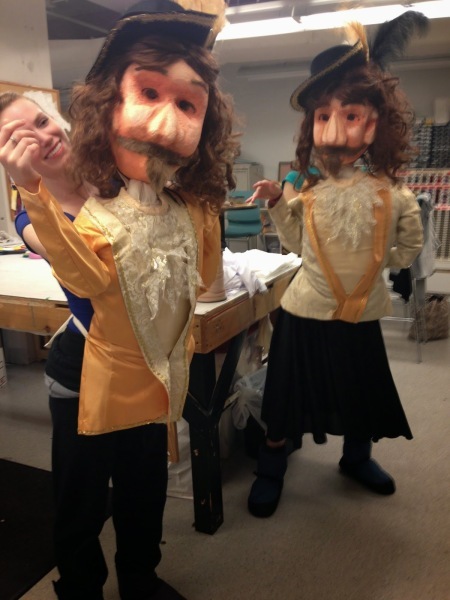 Gamache is a showy character who flies around the stage and duels for the girl. 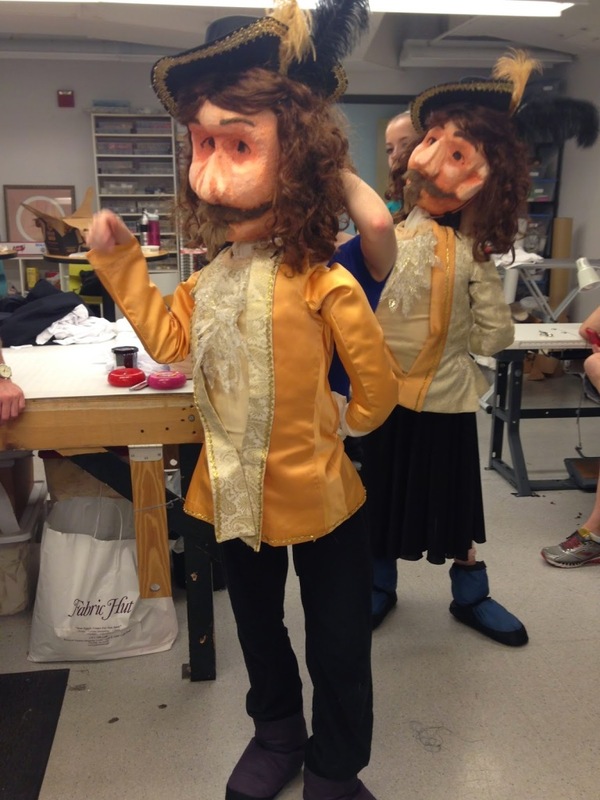 One arm is sewn behind his back and the other arm is created by the dancer’s actual arm. 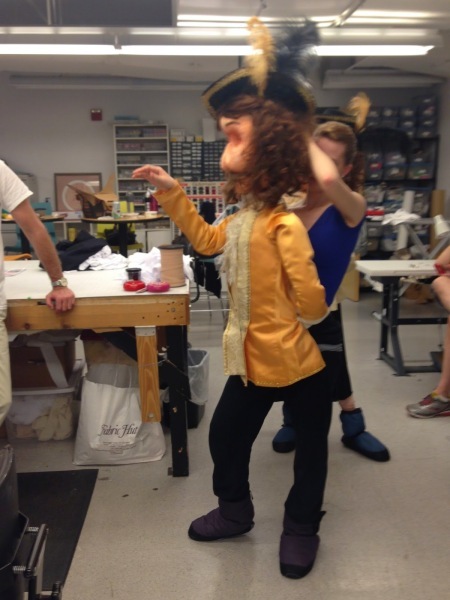 The dancer’s legs are the puppets legs and he is attached to the dancer at the waist. Again, Richmond Ballet dancers always add such life and beautiful professionalism to whatever I make for them. 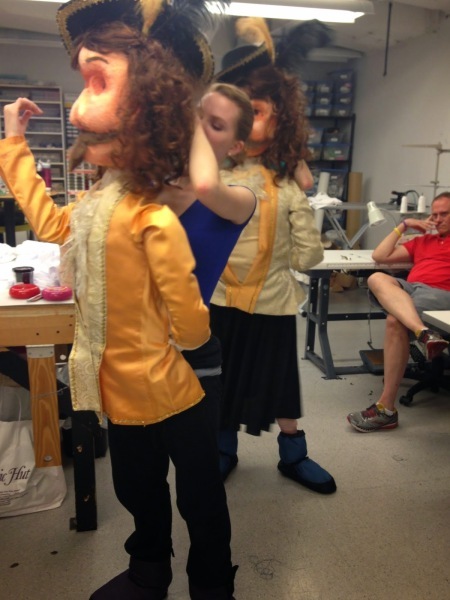 Images are from a costume fitting. The dancer’s skirt was not worn in the production. 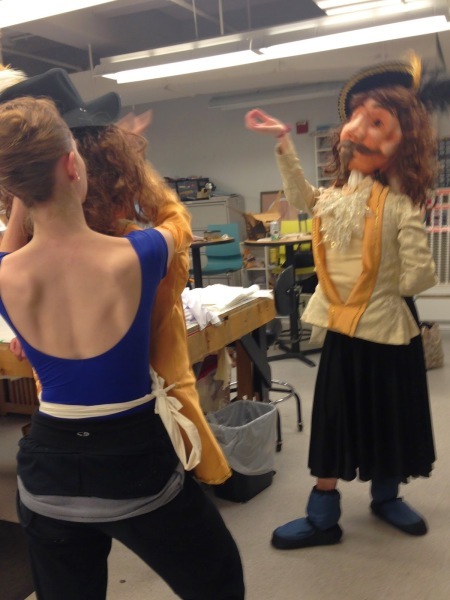 *Don Quixote, Richmond Ballet. Minds in Motion touring production. based in Richmond, Virginia.